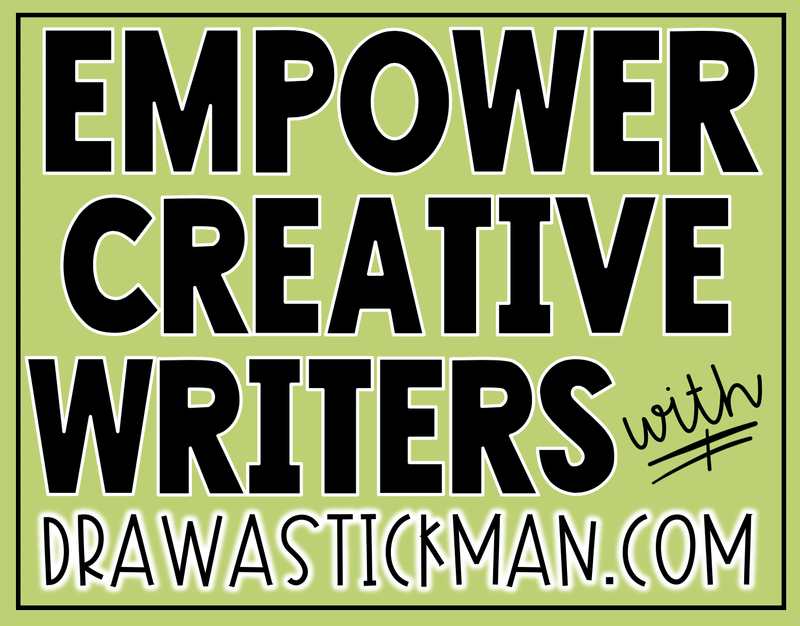 Empower Creative Writers with drawastickman.com | The Techie Teacher® . 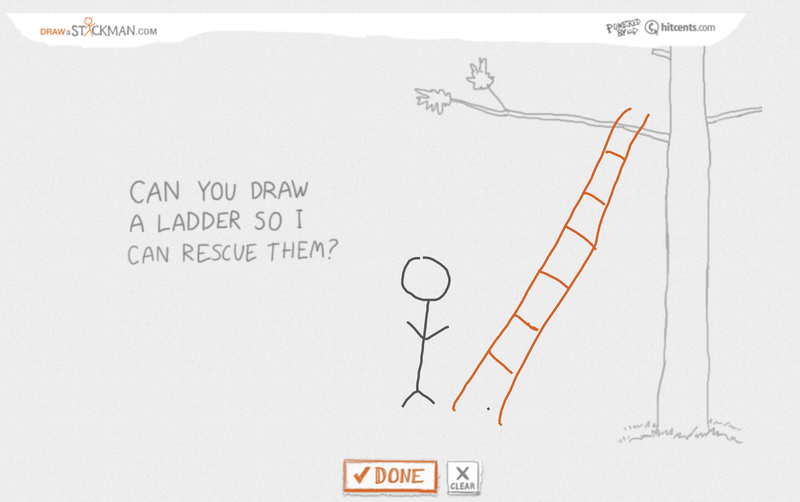 Have you ever seen the drawastickman.com website? You can choose from one of two adventures to go on by drawing a stickman who comes to life and is confronted with all types of crazy problems that end up being solved by the user adding more drawings to their scene. These adventures were created by Hitscents who developed Epic and Epic 2 Draw a Stickman which are available on Nintendo Switch and Wii. If you introduce THIS tool as an anticipatory set for a creative writing activity I promise you will have the most engaged writers E-V-E-R. I don't know about you but I am ALWAYS looking for ways to help students become independent, creative and critical thinkers. For the past two years I have worked with Michigan 826 which is an organization that helps children with their writing. We try to get students to explore their creative sides and write out of the box stories that require them to tap into their creativity. Some children have wild imaginations while others need a boost. This was the same deal when I was a classroom teacher. Many children have no idea how to go about "making their writing more creative" or "think outside of the box". Often times they think they can accomplish this just by adding a few descriptive words to their writing. Creative thinking is just one of those challenging skills that we need to really focus on as educators not just to empower creative writers, but to spark critical thinkers in our everyday world. Exposing students to different perspectives and ideas is a great way to get their creative juices flowing. 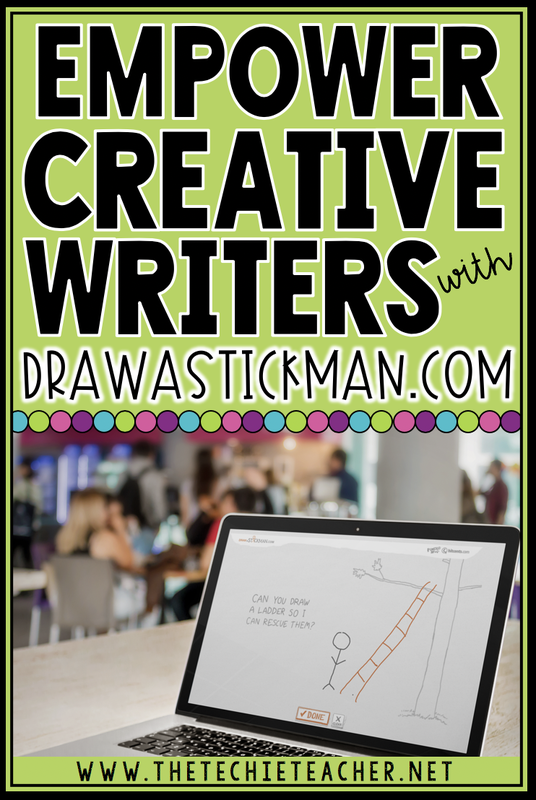 Drawastickman.com would be an EASY and QUICK digital activity you could make a part of one of your writing lessons that models creative thinking while keeping students engaged and involved. When you kick off a creative writing lesson have students visit Episode 1 or 2 on this website. Ask them to notice the kinds of problems that the story presents and the creative ways they are asked to solve the problems. Afterwards you could have students retell the story that was generated. Or, you could ask students to write a different ending. You could even have them pause at a certain point in the activity and write what they think might happen next and then play out the scene to compare. By doing this students don't have to come up with a story out of thin air. 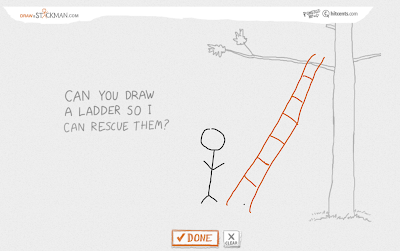 Instead, drawastickman.com assists students with their ideas yet provides an opportunity for them to explore their creative side. Set them up for success!